Scopri il nostro hotel di recente apertura, l'Exe Gauthier, e goditi la capitale economica e finanziaria del Marocco. Una città bellissima, piena di luoghi da scoprire, dove l'architettura araba coesiste con edifici di influenza romana, ebraica, spagnola e francese. Located on the Atlantic coast, Casablanca is the largest city and the economical hub of Morocco. Casablanca is a modern city with lively boulevards and many street cafes that give it a very European feel. Casablanca is a blend of both tradition and modernity. Visitors will find traditional buildings of Moorish, Roman, Jewish, Spanish and French influence alongside the new modern skyscrapers. 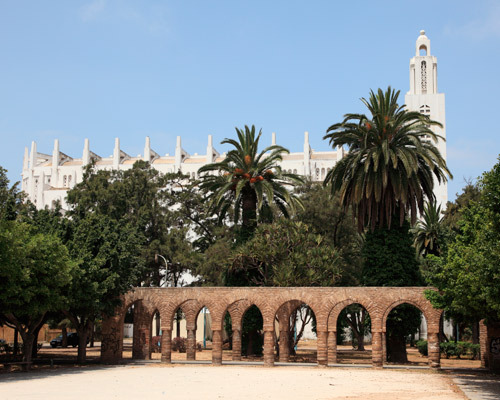 Although the city is fairly modern in Moroccan standard, there are many historical sites and striking white colonial architecture. The oldest part of the city, the medina is relatively small in comparison with other medinas in Morocco, but still worth a stroll around its narrow alleys. Near the Medina you’ll find the City Hall, which has beautifully carved roofs. 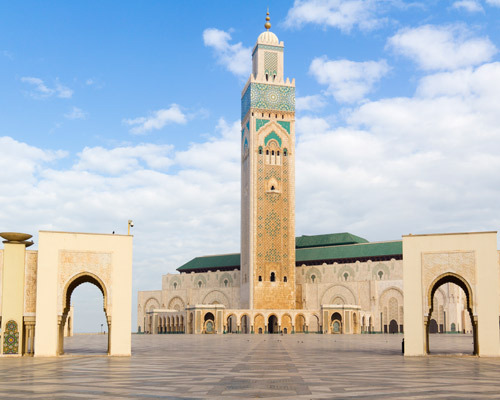 Casablanca’s main attraction is King Hassan II Mosque. Located on a beautiful setting on the Atlantic Coast, it is the largest mosque in Morocco and the third largest in the world, with the tallest minaret in the world. Visiting Casablanca is a must for many travelers who come to Morocco. Oriental yet modern, Casablanca is a city of many faces.